Say no to diets for weight loss. Slim down quickly and maintain your new figure with our custom weight loss programs in Calgary. Diets for weight loss are used by many Calgarians in an attempt to achieve the figure they’ve always wanted. However, while the results from such diets can be dramatic, they are often short-lived. 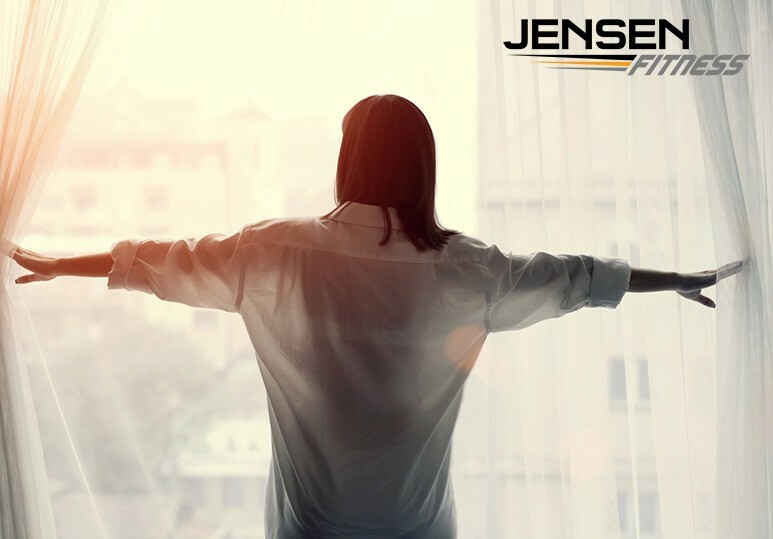 At Jensen Fitness, we know that achieving a significant amount of weight loss is no easy task but we also understand that maintaining it can be just as challenging. That’s why we work together with our clients to create and help you stick with customized weight loss programs so you can meet all your goals in a healthy, realistic manner that produces long-term, incredible results. Reaching your weight loss goal is certainly a reason to celebrate. However, many people are also a little worried about regaining the pounds they’ve shed. A registered nutrition coach and/or personal trainer can help you focus on the next step: maintaining the result from your weight loss program over the long term. A lower-fat, higher-protein diet has been shown to help maintain weight loss for many people. This could be due to the fact that protein-rich meals make you feel fuller for longer, so you are less likely to snack. It’s important to maintain your new, healthier eating habits regardless of any changes in your routine including weekends or holidays. By planning your meals ahead, you’ll be less likely to slip up. Eating breakfast is key to a successful weight loss program. Research shows that this important meal can help control your weight & avoid snacking throughout the day. A weight loss plateau can be very frustrating and may even derail all your hard work. Working with a personal trainer can make sure you are progressing the intensity of your workouts and consistently improving your results. While you shouldn’t weigh yourself every day or become obsessed with the number on the scale, it’s important to keep a close eye on any changes in your weight. Setting goals (e.g. keeping the weight off for a special occasion) can help motivate you into maintaining your healthy diet and exercise regime. Working with a personal trainer can keep you accountable for your weight loss and fitness goals and make sure you stay on track. If you are planning on achieving your weight loss goals, then you should always say NO to diets for weight loss. While such fads can give you dramatic results in a short time frame, they are not sustainable and chances are, you’ll gain the weight back. 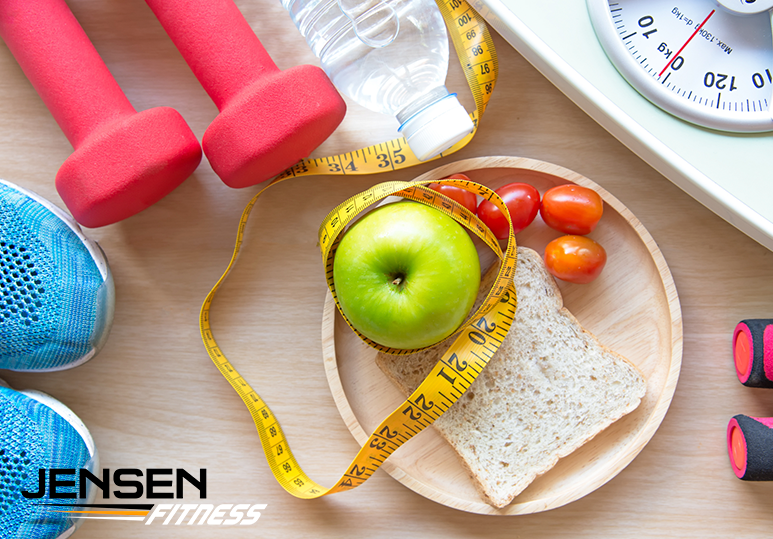 At Jensen Fitness, our nutrition coaches are able to create custom weight loss programs to suit your individual needs and, better yet, can monitor your progress and keep you on track, no matter where you are in the world. Create customized meal plans to suit your nutritional needs while still ensuring you are meeting your weight loss goals. Monitor the progress of your weight loss program through weekly weigh-ins and progress photos. This allows us to adjust your fitness routine as necessary to ensure you are always getting the most value from your hard work. Looking for long-term, dramatic weight loss results? Find out more about our custom weight-loss programs and personal training services. Call our Calgary fitness centre at 403-200-0199 or fill in our online contact form.